A Hacker group calling itself 'The Islamic Cyber Resistance Group' claimed to have hacked into the Israel Aviation Authority (iaa.gov.il) website and gained access to its Internal network. The group claimed to have obtained sensitive information regarding domestic and international flight maps, FarsNews reports. The group said that they had ability to cause disruption in services such as flight routing, communications between plane and ground stations. "By the grace of God, we could gain access to iaa.gov.il LAN and in addition to obtaining sensitive information, seized full control over the management panel." The group said in a statement. "But as the world knows, killing women, children and innocent people is a profession exclusive to Israel and its neophytes, and we, as ordered by Islam, do condemn such moves and, thus, find it sufficient to release sensitive information to prove that we have had the access to the servers and downed the website. " Hackers said they had access to the server for months and downloaded a huge amount of data. They also claimed to have wiped the whole server data. The leaked information includes 'Domestic and international flight information Database', 'Some of the flight briefing files which are only provided to pilots and control towers', 'Management and flight routing software information', 'Weather condition maps'. 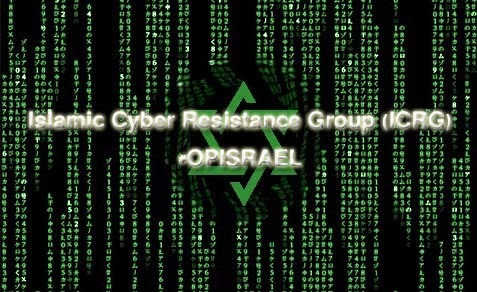 A massive cyber attack dubbed as "#OpIsrael" launched by joined Anonymous hacktivists hit the Israel websites. Hackers launched ddos attacks, defacements, database leaks and social network hacks. 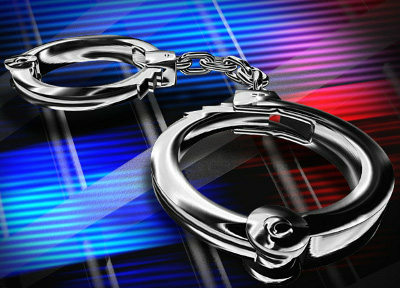 Following the cyber attack, Jordanian security forces has arrested several youths who are allegedly participated in the cyberattack. In response, Anonymous threatened to attack Jordanian internet sites. The group demanded the activists' immediate release. "A Facebook group called 'The Third Intifada – Jordan' boasted that 100,000 Israeli internet sites had been disabled" Arutz Sheva Israel News report reads. A hacker group called 'Team Danger Hackers' has initiated phase 2 of their 'Operation Israel' attack. 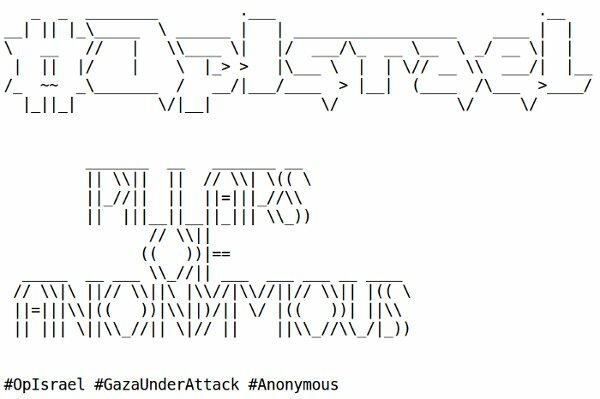 Hacker invites all anonymous hackers to attack the Israel websites. "Operation Israel has been initiated to help the Gaza currently being annihilated by the sadistic forces of the IDF. It has also been initiated to destroy the Israeli network and preserve the Internet for the Palestinians facing persecution by the Israeli government." The hackers said in the Youtube. In a Facebook event note, hacker posted the list of targets Israel Government websites , also a link to more Israel government websites. Hacker also pasted list of hacking tools that will help them to take down those sites. The listed tools are Password crackers, Packet sniffers, Vulnerability Scanners, Exploitation tools. In a separate paste(pastebin.com/ixGBFkSs), hackers listed the websites that vulnerable to SQL Injection. There are more than 250 websites with a vulnerable link. There are two vulnerable Israel government websites. The dump contains more than 80 user login credentials . It contains email address and password in plain text. Most of the password are very simple and only 6 letter text. "DEBKA first started around 2000 in purpose of polluting media with Zionist-Oriented news and rumors." Hacker said in the pastebin. "DEBKA also analyzes on how people react to news and information offered by the agency in their state of art laboratory. Using these methods the agency has got the ability to release news and rumors in subjects which have most impact in the eyes of readers and political figures." According to hacker statement, they have managed to breach their systems and acquire highly sensitive information, including employees and authors personal information, labs details and of course their subscribers. But they have leaked only portion of what they have got which includes subscribers emails and passwords (Most of them are retired MOSSAD agents!!!). So far there is no official statement from Debkafile about the breach. Stay tuned..! While everyone busy with #OpIsrael hack, the famous hacker from Israel with online handle "Hannibal" has claimed to have leaked 1,000,000 accounts belong to American in retaliation for anonymous operation called "#OpIsrael". 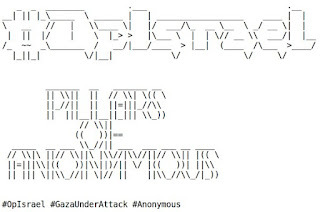 In a pastebin post, hackers sent a message to Anonymous hackers group who launched the #OpIsrael hack in support to Gaza from air strike attacks. "Anonymous Group, Do you want to mess with me?Be careful of me. I'll ruin your life if you continue I will post Personal information of Anonymous group members, I will send you to prison, I'll Fucl y0u tight." Hacker said in the message. He has uploaded 26Mb RAR file in multiple file sharing site. The extracted text file is 140Mb size which contains emails,password,userid, security questions, security answers. After searching in Google ,we found a pastebin post titled "HANNIBAL Fraud". According to the post, the hacker Hannibal steal the dox collected by some other hacker. A file called "EuroDB.txt" has been uploaded in a site "installgentoo[dot]net/~aaron/EuroDB.txt" on October 9th itself, before the major cyber attacks. As part of '#OpIsrael', Anonymous Indonesia hackers has leaked more than 113595 emails and passwords Of Israel and Support. The leaked password is plain text format. We are not sure how hackers compromised these email address and passwords. 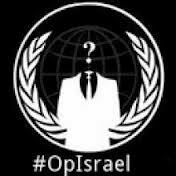 "#Opisrael 113K Emails & Password Of Israel and Support LEAKED by Anony Indonesia on www.anonpaste.me/anonpaste2/index.php?010f3f5bcaedf7d1#14fXEqTTPNHHlTsws3dAMB9dnkulYvvk9I/EefPOId8=" An0nplus' Tweet reads. The hackers also target the Israeli Bank & Credit Card Site. In anonPaste , they have listed the sites which is being attacked. At the time of writing, we are not able to reach Bank Hapoalim (www.bankhapoalim.co.il) and Adanim Mortgage Bank(www.adanim.co.il) displays "Hello From Adanim"
Hackers has take control of the official twitter , facebook, linkedin and youtube account belong to Israel's Vice Prime Minister Silvan Shalom and posted the Free Palestine message. They've changed the wallpaper of the Facebook account(fb.com/silvan.shalom) to Free palestine wallpaper. *Update* Few minutes after we published the article, we are unable to reach that facebook account, it seems like hackers deleted the account. Hackers take control of the Twitter account @SilvanShalom and started to post the following tweets. "FREE PALESTINE FROM ISRAELI MURDERERS. END THE OCCUPATION. BRING DOWN THE WALL. SEND SUPPLIES, MEDICINE AND FOOD. POWER TO THE PEOPLE #GAZA" The tweets posted by hackers. "CALLING PEOPLE OF THE WORLD. BOYCOTT ALL ISRAELI GOODS. PROTEST EVERYWHERE AGAINST THIS UNJUST WAR AND OCCUPATION. #GAZA" The latest tweet reads. They have also launched ddos attack against the official website of Silvan Shalom(www.silvan-shalom.co.il). *Update* The site is now displaying the following error message "Not Found The requested URL / was not found on this server. Additionally, a 404 Not Found error was encountered while trying to use an ErrorDocument to handle the request." 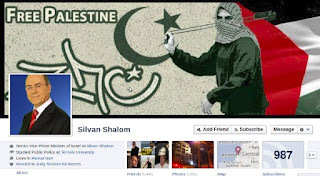 " We Hacked #SilvanShalom's Facebook, Blogger, Picassa web album, Gmail, Twitter Full details will be posted soon in our Ezine" zCompany Hacking Crew took credit for the hack.
" We are not Part of any #Cyberwar #israel's @SilvanShalom is Hacked to show solidarity with #Gaza and raise voice against Israeli brutalities"ZHC said. At EHN , we have collected list of Israeli websites hacked as part of the operation called "#OpIsrael". Anonymous break into dirotmodiin.co.il, a site for finding real estate in Israel, and leaked 2000+ username, email address, and plain-text password. As usual, most of the passwords are 123456. "People at the #Gaza. They might think they control u. But as u see, we control them. #WeAreLegion #Anonymous is watching ur back!" BAnk IS HAcker To by anonymous..
humor.co.il hacked and database leaked by Anonymous. The leak contains username, hashed password and email address. Database leaked from israel.com. The dump contains username, hashed password and email address. The archive will be updated. Stay tuned. If you think i have missed some sites, please do inform us. In protest of attacks taking place on Gaza, Hackers hit Israel with mass cyber attack that resulted in hundreds of websites being defaced or tangodown, as well as database being leaked. Anonymous has leaked documents of 5000 Israeli officials. Yesterday, Pakistani hackers deface several high profile Israel website including BBC, Bing, MSN, Skype, Intel, Live, coke. Several other hacking group also participated in the protest and take down the Israel websites. Yesterday, Teamr00t has defaced multiple Israel websites. The hacker group known as WikiBoatBrazil has breached the server belong to Israel Secret Intelligence Service(mossad.gov.il) and leaked account details. The leak contains login credentials belong to admin and noc. Venezuelan Hackers leaked 1850 Accounts of Confederation of Israeli Associations in Venezuela(caiv.org). The leak contains username, email address, name and plain-text passwords. The hacking group Teamr00t has also started to attack Israel websites in protest of attacks taking place on Gaza. So far they have defaced more than 20 websites. Anonymous has published document of 5000 Israeli officials. 1.3Mb size HTML file has been uploaded here wikisend.com . It contains name, address, phone number , ID Number and email address. "This is Anonymous. It has come to our attention that the Israeli government has ignored repeated warnings about the abuse of human rights, shutting down the internet in Israel and mistreating its own citizens and those of its neighboring countries." hackers said in a pastebin post. "November 2012 will be a month to remember for the Israeli defense forces and internet security forces." The hackers from the Bangladesh Grey Hat Hackers collective have breached and defaced more than 20 Israeli websites. “How's feeling guys? Remember our name? We are Bangladesh Grey Hat Hackers. We will make your life hell. You have no rights in the cyber space & in the world. You guys are nothing more than a cancerous tumor. We will hit you again & again & again.” The hacker said in the statement. Last month, they hacked into more than 50 Israeli websites and defaced them with same message. Shortly after the Anonymous activists declared cyber war on the Israeli websites, a Pakistani hacker group also came forward in support of GAZA and defaced lot of high profile Israeli websites. The hack was made by hackers going by the names 1337, H4x0rL1f3, ZombiE_KsA, and Invectus. "The Notorious Hackers are Back "The defacement message reads. "Your war on Gaza will make you cry blood and let the next few days prove that to you ! ...."
The affected sites includes MSN, Bing, Skype, XBOX, Intel, Live, CNN and more sites. Meanwhile, the Israel Mastercard site is down(www.mastercard.co.il). It was reported by Anonymous hacker with twitter handle Anonymous_SA.